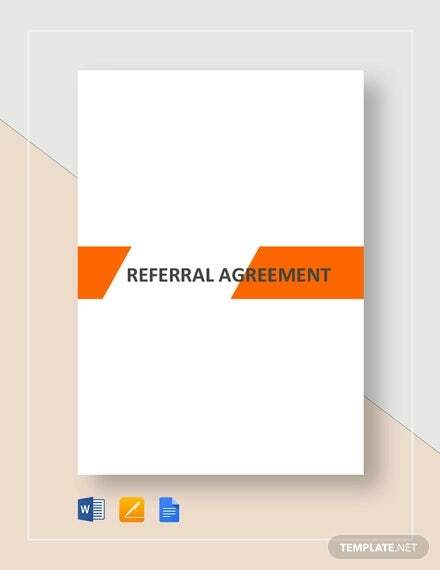 A referral is known as a recommendation; a request; or an action of providing testimonials about a certain person, business, and products. 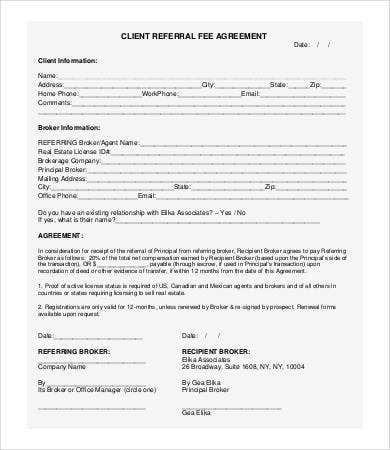 A referral agreement form is basically a form that contains a reply to these requests and recommendations to these referral forms that were sent to you. 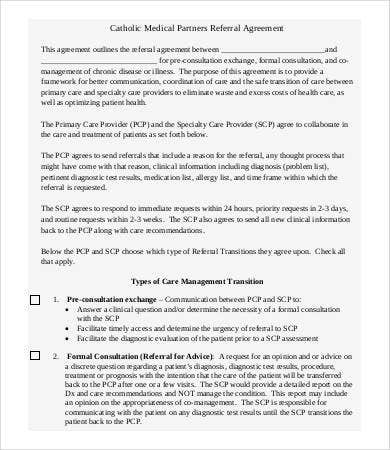 It consists of information document of you saying yes to the parties who gave you the referral. 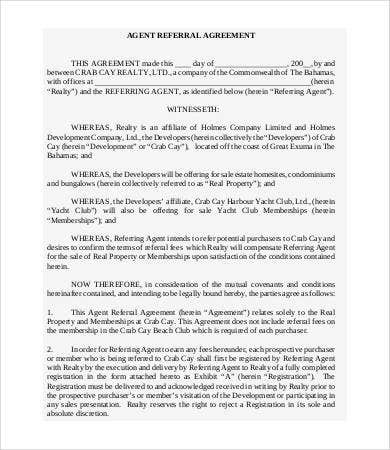 If that is the case, in this website, we have provided for you several agreement template forms for you to use for any purpose they may cater you. 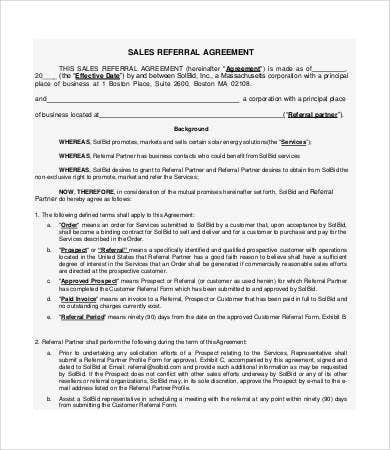 What Is a Referral Agreement Form? 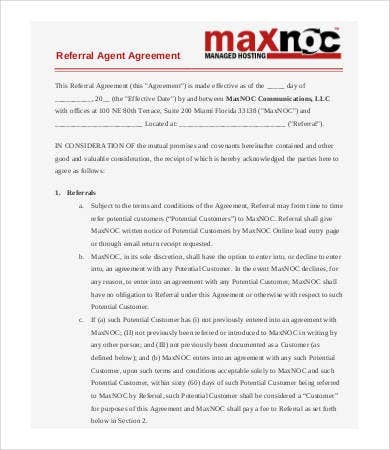 A referral agreement form is a contract that formalizes the terms and conditions in which a certain agent will promote goods and services of a particular company with a referral fee. Recitals. 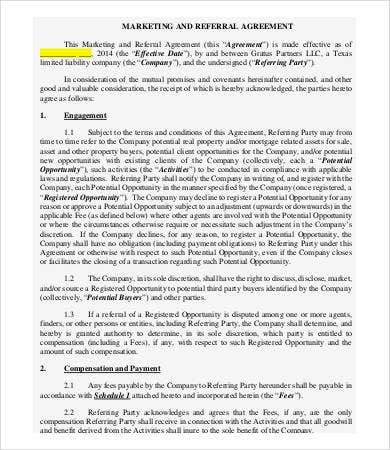 Here is where the company agrees to engage with the referring party. Services. Enumerates the services to be rendered by the referring party. Standard of performance. Lists the standard performance the referring party shall obey. Terms. The effective date and when it shall end. Expenses. The expenditures to be made. Notices. 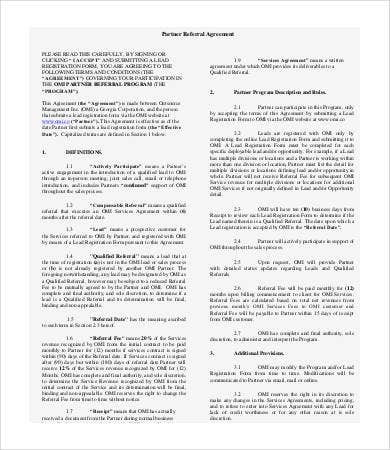 Any bills and reports required of this agreement. 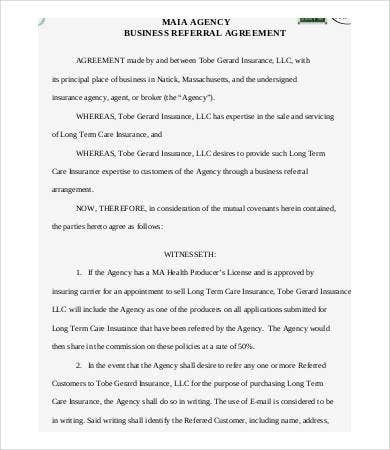 A referral agreement form can be used in several types of settings, as long as there is a request and purpose for such referrals. These are a contract types of document that shape up how a certain party referring to work with another parties will be paid. This gives an advantage, particularly toward businesses, when giving incentive referrals as they may bring more clients. 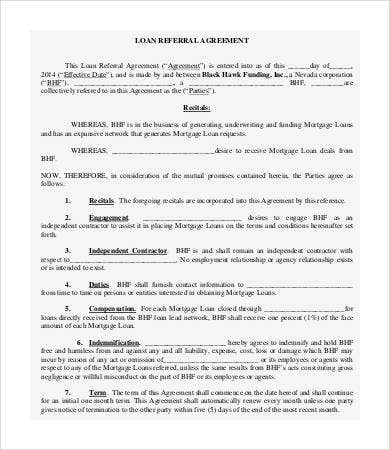 You can also check out some other templates, such as our Employment Agreement forms. Putting all transactions with other people or group of companies are essential for documentation. These documents can help in any issues that may surface like inconsistencies in duties and breach of contract. They also contribute into the timeline of both parties concerned as a record of all transactions that had happened in that specific time period. Our templates are general and editable. Our templates ensures clarity of details. Our templates provide effective content. Our templates are a great source of information. Our templates are easy to use. 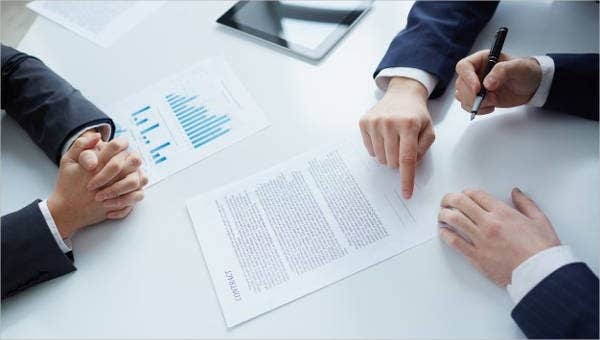 Apart from them being accessible by visiting our website, efficient to use, and free to download, our referral agreement form templates can assure you that they provide detailed and accurate information that can guide you into filling up the correct facts. 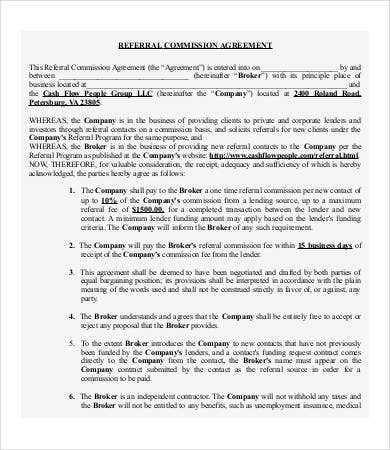 You can also check out other templates we offer on our website like our Vendor Agreement forms.